Merry has just made the most momentous discovery in Egypt since Howard Carter’s opening of Tutankhamun’s tomb. There’s just one problem: she can’t admit to it without linking herself to the dead body that’s inconveniently turned up in the Valley of the Kings. Besides, she has other things to distract her. Her boyfriend Dan is back in Egypt intent on making a grand romantic gesture. There’s the small matter of rescuing a damsel-in-distress she’s never even met from the evil clutches of antiquities thieves in Cairo. And it seems there may be some “precious jewels” dating back to Tutankhamun’s time still buried beneath the sands of time, awaiting discovery. Once more teaming up with the dashing Adam Tennyson – possibly the biggest distraction of all – Merry sets out to unlock a tantalising secret from Egypt’s ancient past. I’m fascinated by Tutankhamun and the time into which he was born – late in the spectacular 18th Dynasty of ancient Egypt. He came to the throne after a time of massive political and religious upheaval. He was born as one of the kings of what’s now called the Amarna period, when his predecessor Akhenaten turned everything on its head by scrapping the worship of the pantheon of Egyptian gods and goddesses, and uprooting the religious capital from ancient Thebes (Luxor) to virgin territory in the middle of Egypt, where he built a brand new city. In 2010 a team took CT scans on Tutankhamun’s mummy and extracted DNA. This enabled them to conclude that Tutankhamun was indeed the son of the heretic pharaoh Akhenaten. But other Egyptologists hotly contest this finding. I’m in the latter camp. 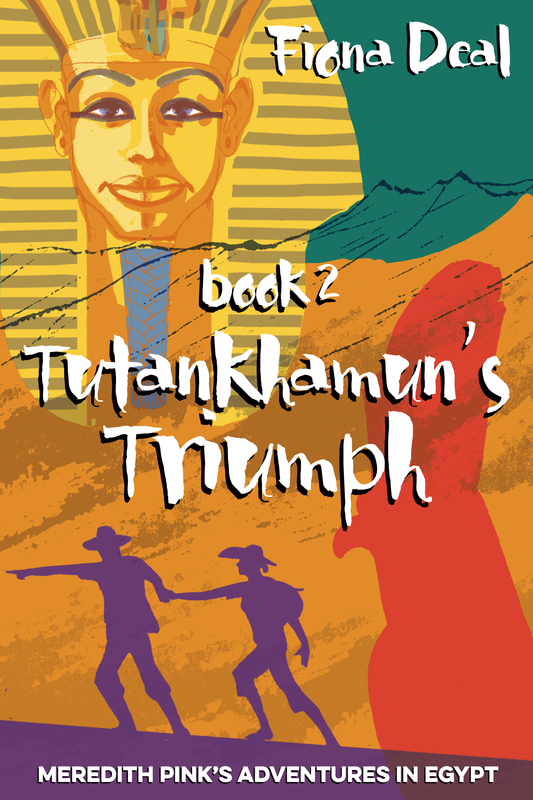 My novel Tutankhamun’s Triumph is meant as a lighthearted and entertaining read. But it also sets about theorising another possibility for Tutankhamun’s family tree. I hope you enjoy it.